Gemini and Virgo have a good deal in common – both signs are ruled by Mercury, the communicator, and both signs are mutable, giving both of these partners a flexible, adaptable approach to life. How does that translate into Gemini man Virgo woman compatibility? One thing’s for sure: this relationship won’t suffer from period of long silence! The Gemini man is drawn to the Virgo woman because he’s intrigued by her mysterious, slightly chaste air, and her obvious ability to talk and to intellectualize. The Virgo woman finds the Gemini man’s charm rather too much, and is likely to raise her eyebrows at his more over the top playfulness, but she is attracted to the mercurial side of his nature, and she respects his quick thinking and his ability to say the right thing. For the Gemini man and Virgo woman, the relationship may well start as a friendship, since these two signs have more in common on an intellectual level than a passionate one. Once they get to know each other, however, passion does begin to emerge. The Virgo woman is not as virginal as her reputation suggests – she is an earth sign, after all – and once she feels comfortable with her Gemini man, she is likely to take the lead sexually. The Gemini man will be thrilled with this, as it relieves him of responsibility and means he can think of other things while he’s supposed to be being passionate. Ultimately, however, his sexual aloofness can upset the Virgo woman – she’s trusting him and laying bare her soul to him, only to find that he’d rather read. In this way, Gemini man Virgo woman compatibility isn’t the most sexual of matches. However, this couple have a lot to learn from one another. Although both ruled by Mercury, they express this communicative energy in very different ways. The Gemini is a natural salesman, full of confidence and energy and verve. The Virgo woman is much more quiet and modest about her abilities in public, but in private she uses the power of Mercury to criticize and to shape others and herself. Fortunately, the Gemini man can tolerate the Virgo woman’s nagging better than many other signs, as he simply shrugs it off and carries on in his own sweet way. In the even that he thinks she has a point, he is adaptable and flexible enough to change his ways, much to the Virgo woman’s delight. Gemini man Virgo woman compatibility often flounders when it comes to issues of stability, however. Although both are mutable signs, the Virgo woman does like to be able to predict where she’s going to wake up tomorrow, and the Gemini man’s rapid changes of heart can leave her confused and hurt. The good news, however, is that their mutability means that both of these intelligent partners can talk things through until they find a compromise which is right for them. 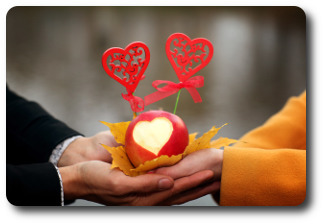 Of all the sun sign pairings, its perhaps in Gemini man Virgo woman compatibility that compromise is best illustrated. When it’s going well, this relationship exhibits the best of both air and earth – it is grounded but intellectual; rational but sensual. The Virgo woman may find the Gemini man a little bit too childish at time, and he might find her a bit to stand-offish at other times, but like the outstanding communicators they both are, they are able to whisper sweet nothings again and make it all alright. 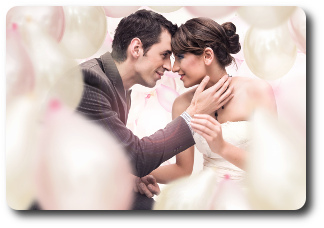 Gemini man Virgo woman compatibility levels remain high, so this is one relationship to watch.